My first Radial event was the 1992 NA's which was held at a local club. I finished 2nd behind former World Champion Peter Katcha, but there was very little wind and I did not learn much. 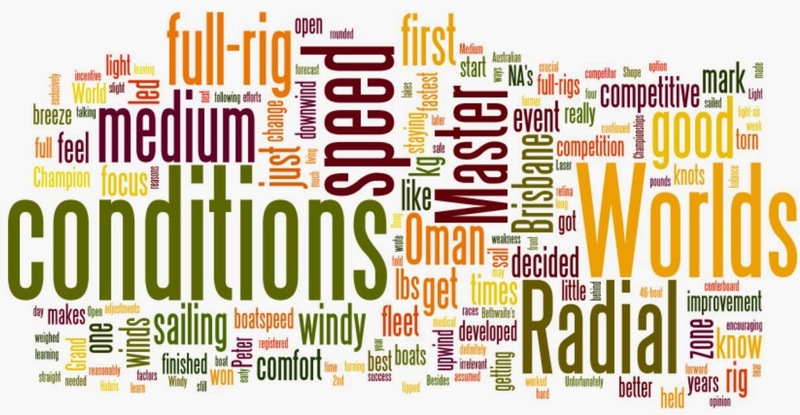 Besides that one event, I sailed full-rigs exclusively from 1976 to 2012. Living on lakes and sailing at night, I developed a good feel for light to medium winds. At the 1993 open Midwinters, there were 180 boats and I finished 5th at the age of 42 which was encouraging. And at the open 120 boat CORK Regatta later that year I was told by another competitor that I had "the fastest straight line boatspeed" in medium winds. So medium conditions in a full-rig was definitely my comfort zone, and I continued to focus on this. So, why change to a Radial for the 2012 Master Worlds in Brisbane? Weight: I weighed 185 lbs (83 kg) when I won the 1997 Master Worlds and 180 lbs (81 kg) when I won the 2006 Grand Master Worlds. In 2012 I was struggling to get up to 170 lbs (77 kg). Forced rig change: With only a few more years before turning 65, I decided it was time to start learning how to sail a Radial. Hubris: A race at the Worlds will not start under 5 knots, so light-air speed is irrelevant. My comfort zone in medium conditions led me to believe that heavy-air should be my focus for improvement, so I decided it was better to be a little heavy in a Radial than light in a full-rig. Before the Brisbane Master Worlds, the 2012 Open NA's were in Houston and I wanted the competition. With only 16 boats registered in the full-rigs, I decided to sail in the 46-boat Radial fleet. It had rock stars like World Champion Erika Reineke. My upwind speed in a breeze was getting better and I led at the first mark 3 times. The 2012 Master Australian Championships was held just before the Master Worlds. The middle day had winds gusting over 25 knots and I led at the first mark in all three races. At the following Brisbane Worlds, I rounded first 4 times and second 3 times. So, speed in a breeze was getting good. Now, I know that downwind speed is also important, but being at or near the front at the first mark is, in my opinion, crucial to success in a good fleet. And living in Dallas with no competition makes it really hard to develop good downwind speed (which is why I arrive early at Worlds to get used to the wave conditions). The forecast for Oman was medium conditions, and Pam kept suggesting that I switch to a full rig. But there were two health issues that tipped the balance for me: a torn rotator cuff and a torn retina just before leaving for Oman - I just did not feel safe sailing a full rig if it got really windy. Light conditions meant no sailing. Medium conditions was my comfort zone. Windy conditions was my focus for improvement. As it turned out (ignoring the medical factors), I made one huge mistake. As I wrote in this blog, I do not know of any single person who is the fastest in all conditions, so it's best to perfect your own conditions and then be reasonably competitive in the others. For Oman, I assumed that my medium speed was good and my weakness would be windy conditions. Unfortunately, my good medium conditions speed in a full-rig did not translate into speed in a Radial. And those were the only conditions that we got in Oman. None of the full-rig techniques that I'd developed over the years worked in the Radial, and my upwind speed was very average. Things that power a full-rig feel empty in a Radial, and ways to get more lift out of the centerboard just do not work. We're talking very fine adjustments for very slight changes, but that's what is needed in a Worlds fleet. A lack of boatspeed at a Worlds event makes for a very long week. So, what's next? Thanks to Mark Bethwaite's lobbing efforts, it looks like the Great Grand Masters may have a full-rig option, so I'm looking forward to staying competitive in a full-rig rather than starting over again in a Radial. 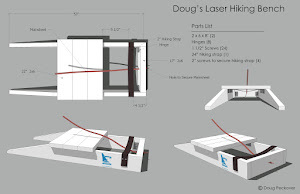 I might be able to get to 175 lbs (79kg) and still be competitive in windy conditions (like Peter Shope) but isn't staying fit one of the benefits of sailing a Laser? It's certainly the best incentive that I know of. 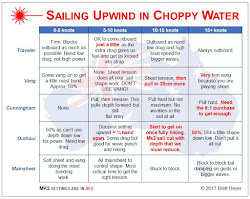 Personally I'm torn as to whether having the choice to sail a Radial or a Full rig at any given regatta (or even on each day of the regatta at masters events in the US) is a good thing or not. It's yet another variable and I often see my fellow masters sailors regretting the choices they make. Sticking with one rig and focusing on learning how to make that go fast might well be the best choice for most of us. Definitely agree with the above. The weight range of people who are able to successfully switch rigs given certain wind conditions is actually quite a narrow band, say 72 - 76 kg. Other than that I think you're definitely better off sticking to your respective rig. In the UK Steve Cockerill has been very successful at switching rigs for many years now, though he probably favours the Radial, and is definitely shorter in height than my 5' 8". There are always anomalies. Keith Wilkins successfully switched into the Radial once he reached GGMs, and has subsequently won at least 2 Masters Worlds that I know of, despite being well above my previously stated threshold of 76 kg. Having said that, I imagine he's totally focused on the Radial as I haven't seen him in a Standard for many years now. Doug had a further observation. In our district, the Radial is primarily sailed by juniors. When he "crashed" their fleet by sailing a Radial in the 2012 Open NA's he said he felt a little of out of place. Upon further discussions about why I don't feel comfortable sailing with the juniors I said I feel like like I'm intruding on their regatta because I'm not their competition. He observed that there might be questions and suspicions raised if an old man spent too much time hanging out sailing with kids. Parents might not like it. Once in a blue moon an old former Masters World Champ might be an interesting experience but a permanent move might concern alot of parents. So, he really has little choice since our district simply doesn't have an adult Radial fleet. Quote "He observed that there might be questions and suspicions raised if an old man spent too much time hanging out sailing with kids." Is that meant as a joke? If not, I am speechless. Why should parents be concerned? That type of thinking is wrong on every level. Maybe as an older person you can be an ambassador for the class and share your knowledge and mentor these kids instead of being concerned what some idiot might think of you. By the way, if you are racing them you are their competition. 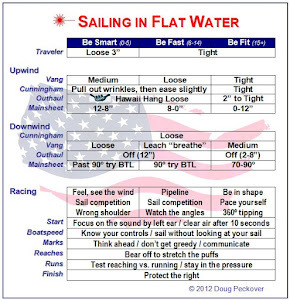 I have sailed both full rig and radial and the boats are essentially the same to sail albeit the Radial lacks power in lower wind strengths in comparison. In my opinion the Radial is easier to sail than a full rig if you are full rig weight. Anything up to 82-83 kg can be very fast once the breeze gets to 8-12 knots. Racing in the radial fleet in any sort of breeze as a good full rig sailor actually seems like cheating (lol) a bit to me. If you are 6 foot and weigh 80kg or so you are generally untouchable upwind. Whenever I sail a Radial I am reminded of Kramer in Seinfeld competing in Karate against kids. Radials are great boats to sail but grown men should be in full rigs if they are 80kg and tall enough. Radial competition should be for older people, women and children for whom the Full rig is too much of a handful in medium breezes and up. Sadly, my comment isn't a joke. Definitely the wrong type of thinking on every level but also necessary in the US these days. Boy Scouts aren't even allowed to be alone with one male adult without the supervision of another adult. If one has to step out of the room to go to the bathroom, the other has to step out too. Distressing for sure but nevertheless something Doug has to keep in mind. A few bad people have completely ruined things for others and introduced an element of caution that shouldn't be necessary but is. As for me not feeling like the kids are my competition, I find that when I'm on the course with them and I have starboard rights and they are port, the motherly part of me says lets them pass rather than hindering their progress. They just aren't my competition. I wouldn't do that for an adult though. Y'all would clearly benefit from racing Radials in the UK, where age or gender is not an issue, though height and weight could be. That is fantastic! And the way it should be. Is the Radial primarily being a junior boat a Texas thing or a US thing. reasonably proficient, over 20kts, a standard rig is a handful and I'm slow upwind. However, put me in a radial in those conditions and I'm faster than standard rig upwind and downwind, it is simply a joy to sail. You can drive the boat much harder than a standard rig. So if you are lighter ~160lbs, I'd recommend a radial over 18 its and standard less than that. Of course, it makes regatta rig fleet choices somewhat of a challenge. At NA in the gorge this year, I'll be in a Radial. I have sailed a Radial once. It was a much more comfortable boat for me. But, I was sailing with the hull Doug call's his spare parts boat and the clue came undone, the vang jammed, the wooden centerboard swelled up and got stuck. He likes those little surprises and challenges but I don't. Nevertheless, even with all the things that went wrong, it was the first time the boat actually reacted to my weight. It was wonderful. But, the full rig is super fast for me in light air and easy to handle. I think Al Clark and others have it right. Get good on both boats and then choose the rig that suits the venue.